In the event that you need to re-send a completed form back to a user for re-working and resubmission follow the steps in one of the methods below. In the forms inbox locate the form you wish to reopen. Click the Reopen button, this will send the form back to the user in order for them to complete any missing fields. During this step, you are able to add a message to the user to alert their attention to the missing sections. The user needs to open Zunos forms on their iOS device. The reopened form should now appear in the forms inbox list. The user will need to tap edit to open and commence editing. In the event that you need to re-assign a submitted form to another individual, Eg. A line manager for approval. Follow these simple steps closely. In the admin portal forms inbox locate the form you wish to reopen. Click the Assign user button beside the form title. The user will then enter the forms section of Zunos on their iOS device. The form reopened should now appear in their forms inbox. 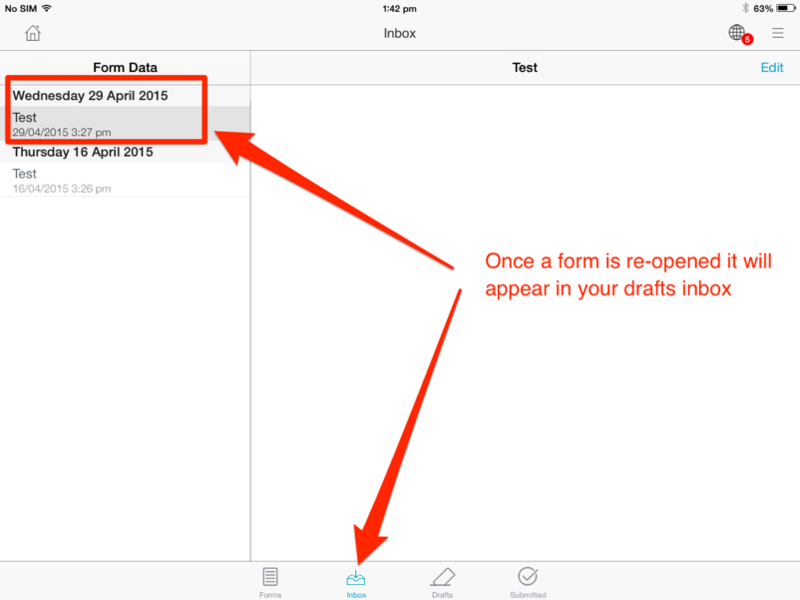 The user will then need to tap edit to open the form and commence editing. Note: A drop down appears when you reassign to someone. Please ensure the person you want to assign it is either a member of the group assigned to the form or an administrator in Zunos.